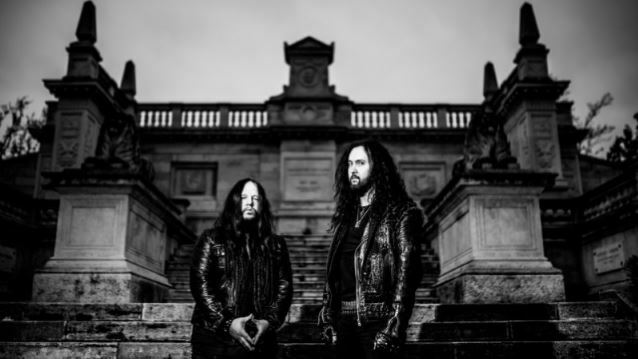 SINSAENUM, the new project featuring Frédéric Leclercq, virtuoso bass player of London-based power metallers DRAGONFORCE, and Joey Jordison, formerly of SLIPKNOT and currently of VIMIC, will release a self-titled two-song, ten-inch vinyl EP on June 6. The effort will feature an embossed logo on the album cover and come with an exclusive signed inner sleeve. Both songs will also be made available digitally on iTunes on June 6.